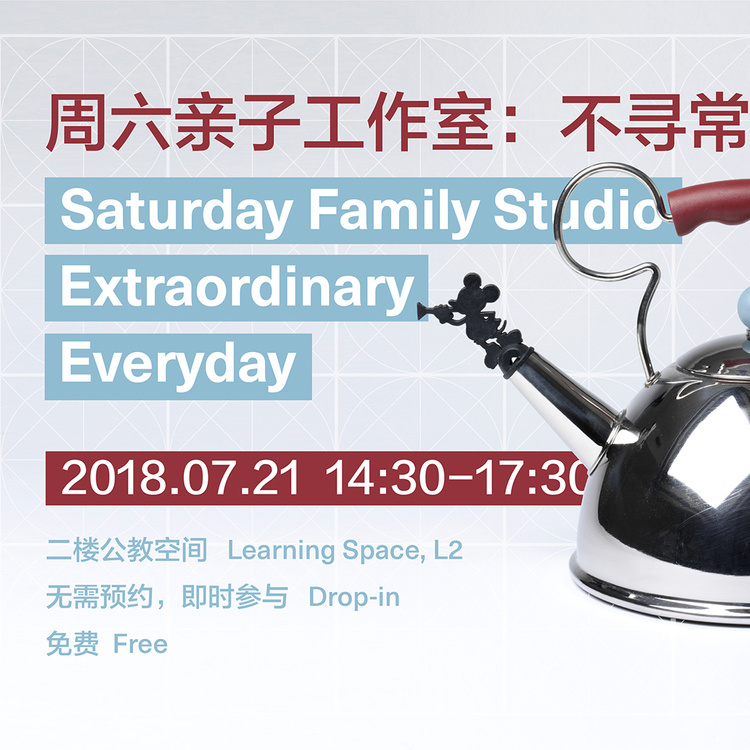 The forthcoming opening of Design Society, a new cultural hub, is the result of a pioneering international partnership between leading state-owned company China Merchants Shekou Holdings (CMSK) and the Victoria and Albert Museum (V&A) in London, the world’s leading museum of art, design and performance. The first of its kind between a UK museum and a Chinese partner, the collaboration is multi-faceted and includes the provision of professional advice and training by the V&A to help CMSK establish and develop a world-class design museum; the presentation of two major touring V&A exhibitions over a three year period; and the development of a V&A Gallery devoted to international design opening with the site specific exhibition, ‘Values of Design’, which will be housed in Design Society. The first exhibition at the V&A Gallery will be called ‘Values of Design’ and will consider how values drive design and how design is valued, as well as highlighting the key role that design plays in society. ‘Values of Design’ has been curated and designed specifically for the V&A Gallery, Shekou at Design Society. It will feature exhibits drawn from the V&A’s major collections of fashion, photography, furniture, product and graphic design, theatre and performance.It will showcase objects that represent key turning points in the history of design against the backdrop of Shenzhen, a city in which design and manufacturing are developing at a rapid rate. The V&A, established in 1852, is the world’s leading museum of art, design and performance with collections of extraordinary diversity, now numbering some 3 million objects, telling a story of human culture, creativity and ingenuity from 3,000 BC to the latest in contemporary practice and thinking. 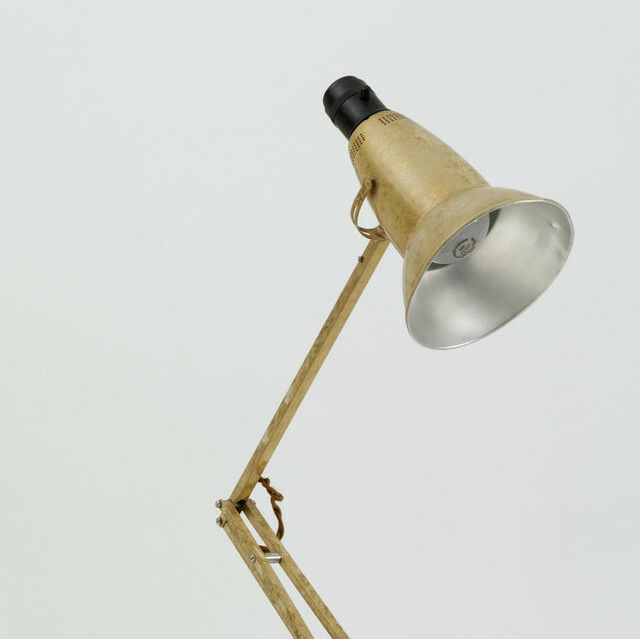 The founding principle of the museum was to make the best examples of international art and design available to all, providing a rich source of inspiration to manufacturers and designers, and ensuring that ‘good design’ and manufacturing prowess went hand in hand at a time of transition in the British industrial story. Today the V&A’s collections continue to intrigue, inspire and inform. The V&A’s ongoing ambition is to increase access to its collections, to foster creativity and encourage people to care about the impact design has on our lives. The V&A has a long history of working with China and holds one of the most important and comprehensive collections of Chinese art and design. It was the first museum in the UK to present a major exhibition of contemporary Chinese photography and film (2005) and contemporary Chinese design and architecture (2008). The V&A has also shown exhibitions in China including Decode, an exhibition of the latest developments in digital design at the Central Academy of Fine Arts (CAFA) in 2010. Motivated by a desire to share knowledge and expertise and encourage an exchange of new ideas between China and the UK, the V&A has undertaken extensive research to develop a dialogue with Shenzhen’s design, manufacturing and creative communities. Together with Design Society, the V&A aims to contribute to the national and global design debate in China, provide a space for learning, enjoyment and inspiration, foster exchange and participation, as well as be an inspiration and activator for the local design and manufacturing scene in Shenzhen. At the back of this display here, you can see two versions of a famous advert for the vodka company ‘Absolut’. In the 1970’s ‘Absolut’ was a little known brand outside of Sweden. To break into an international market, in 1980 they hired the ad agency TBWA, who pitched the company a simple two word campaign. 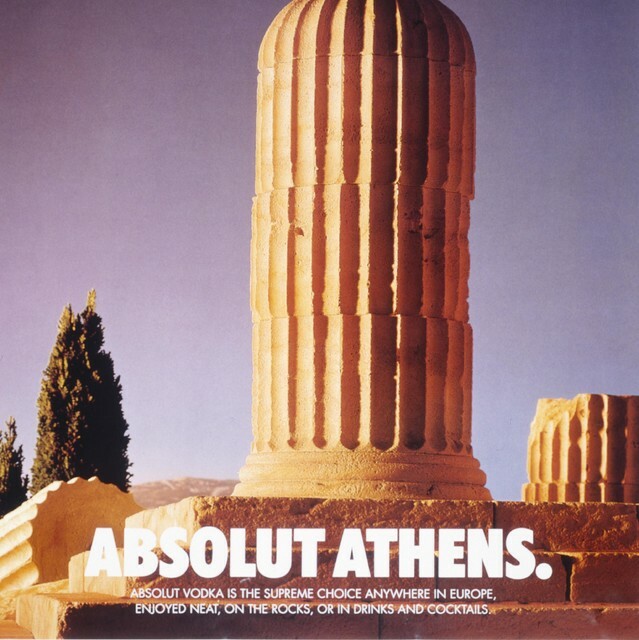 Posters would pair the word ‘Absolut’ with another word, and use the imagery of the background to create a visual pun. The imagery would also incorporate the unique silhouette of the bottle in different settings and spaces. Here you can see the bottle appear in a doorway of a house with the words ‘Absolut London’, and next to it, the bottle appears as a Greek ruin, with the words ‘Absolut Athens’. This simple formula became the longest running print-advertising campaign in history, with over 1,500 variations made. Many celebrated artists, like Andy Warhol and Damien Hirst, were also commissioned to make versions of the Absolut poster, helping to spread its fame and appeal. This simple and elegant nickel-plated electric kettle, designed by German architect Peter Behrens in 1908, helped fundamentally change the nature of household work. When electricity was introduced to European homes at the beginning of 1900s, companies began inventing electrically powered machines to help speed up domestic tasks like cooking and cleaning. Using an electric kettle like this one was far quicker and more efficient than boiling a pot of water on the stove, for example. 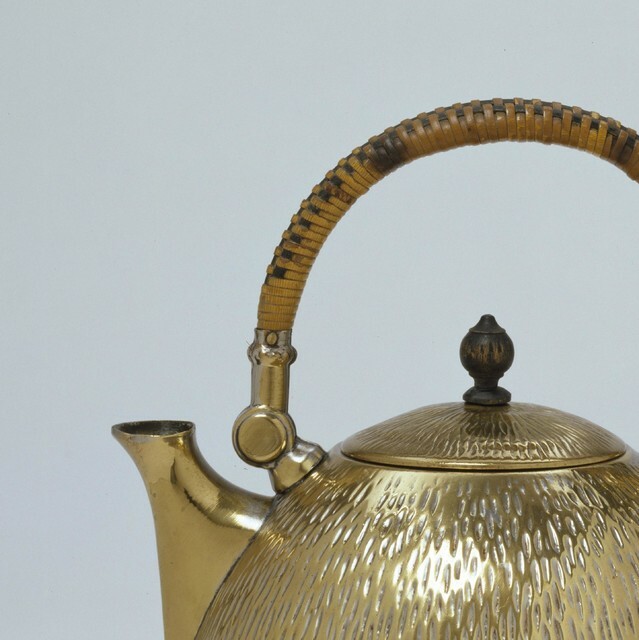 This particular kettle was a product from the German company AEG, one of the leading manufacturers of electric appliances at the turn of the century. In the making of the kettle, AEG faced a peculiar challenge. People at the time associated electric-powered objects with machines that belonged in factories. To make a successful product, AEG had to convince consumers that machines, like this kettle, could have a proper place in the home. To solve that problem, they hired Peter Behrens to come up with a design that would be aesthetically acceptable for a household setting. The decorative pierced and stamped metal plating on the body of the kettle helped give the object a unique appeal and led to its commercial success. 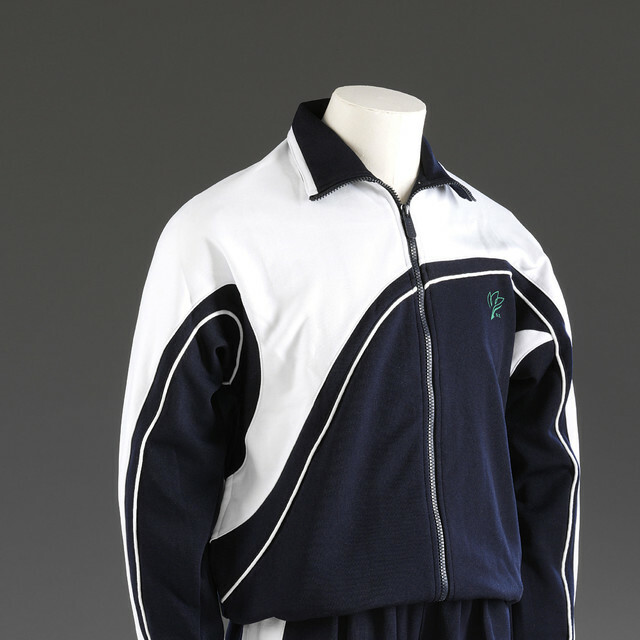 Nike today is a universally recognized brand, but when the sportswear company was just beginning, in the city of Portland in the United States in the late 1960s, it struggled with how to define its visual identity. In 1971, they hired Carolyn Davidson, who was just a student at the Portland State University at the time, to design a logo. 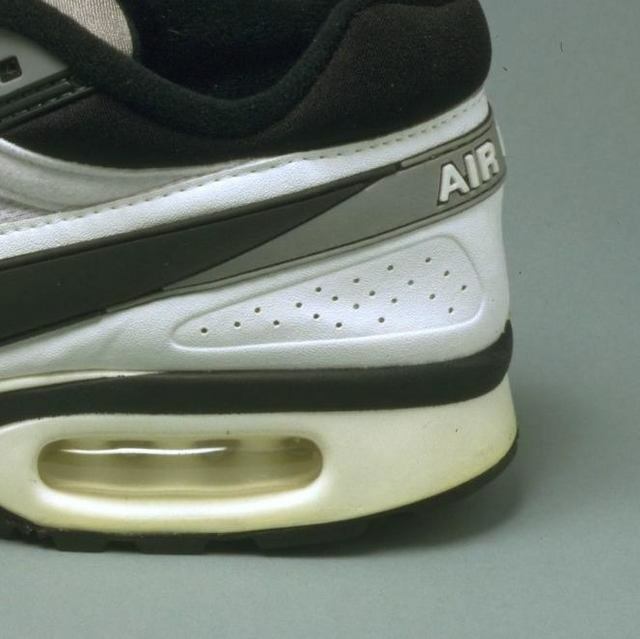 The so-called ‘swoosh’ that she designed, and which you can see on the pair of Air Max Trainers in front of you, was intended to convey the idea of motion and speed. Originally, the ‘swoosh’ was accompanied by the word ‘Nike’ alongside it. By the 1990s however, the logo had become so iconic of the brand itself, that the word was removed altogether. Even though the Nike logo has become one of the most successful designs in recent history, for her services, Davidson was paid just 35 dollars to design it, while today the Nike brand alone is valued to be worth 26 billion US dollars. This series of lamps are called Akari, and were designed by the American designer Isamu Noguchi over the course of his career. 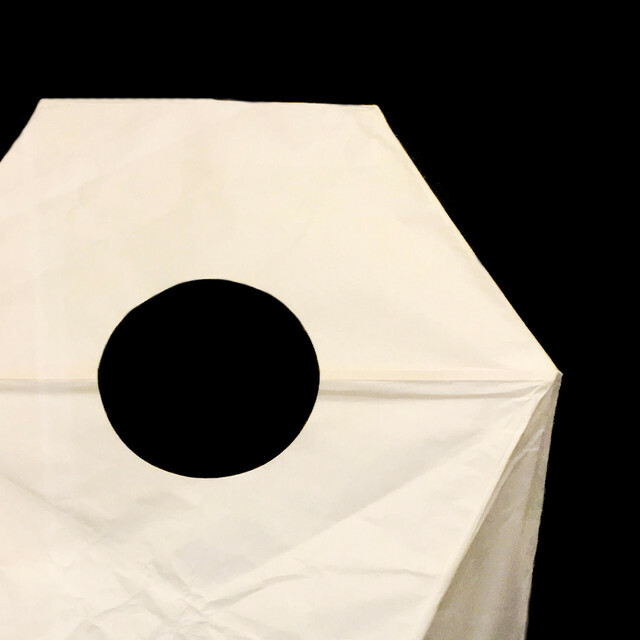 The series began when Noguchi first witnessed traditional paper-lantern making techniques on a trip to Japan. Noguchi was trained as a sculptor, and he has referred to these lamps as light sculptures, elevating the idea of a light source in your home into a work of art. They are made of ‘Washi’, a type of handmade Mulberry paper and bamboo, which allow for a great deal of flexibility in the shapes that can be produced. In addition, the ‘washi’ helps to disperse the light from incandescent bulbs which helps to create a sense of warmth and comfort in the home. Over several decades Noguchi produced dozens of different sculptural variations of Akari pushing the technique to its formal limits. They have remained commercially successful, not just for their beauty, but also because they are lightweight and collapsible, making them easy to ship around the world. combines innovative engineering with modern utilitarian style. 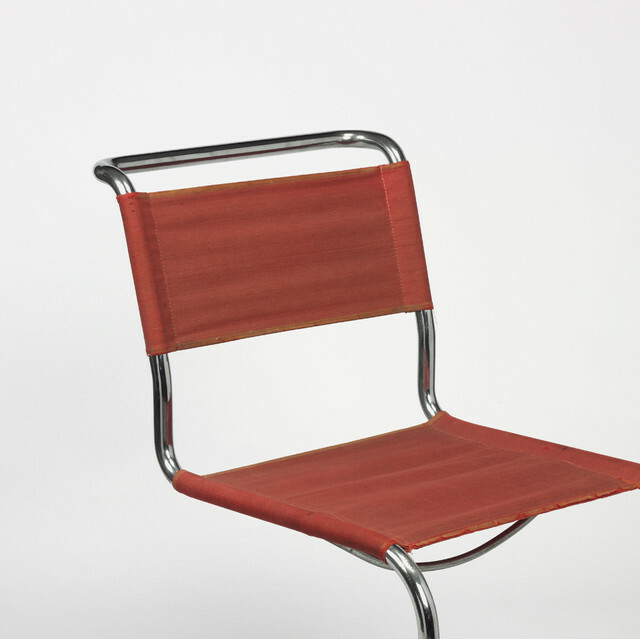 This chair, made of cantilevered tubular steel, was one of the most radical and iconic designs of the early 20th century. Made by German architect Marcel Breuer in 1927 while teaching at the Bauhaus design school in Dessau, Germany it reflects the school’s preoccupation with industrial aesthetics and mass manufacturing. Tubular steel at the time was mostly used for making bicycle frames. 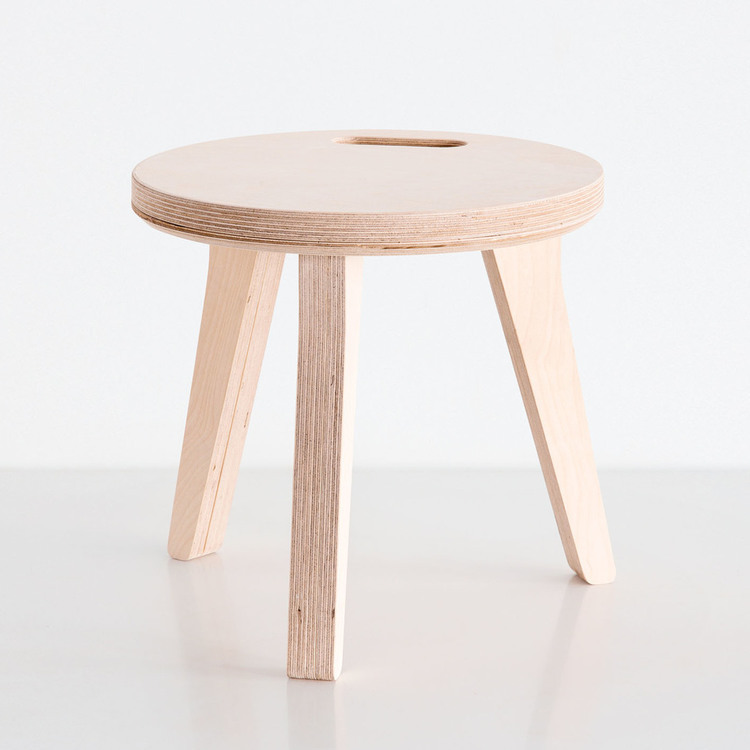 Because of its cheapness and relative availability, designers at the school started to experiment with it in their furniture designs. The most remarkable feature of the material was its ability to bend and remain structural at the same time. Designers like Mart Stam, Mies van der Rohe, and Marcel Breuer all designed chairs out of tubular steel. However it was the cantilevered versions that were the most remarkable, as they broke with the tradition and idea of a chair having to have four legs. The material’s reflective surface was also touted as being especially hygienic and easy to clean, reflecting the modernist movement’s interest in the design of healthy environments. 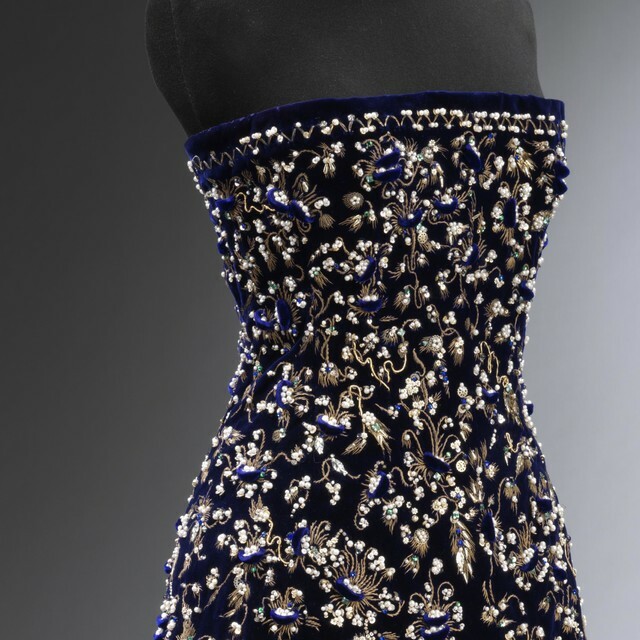 The dress is from one of Christian Dior’s last collections, it showcases his use of structured silhouettes overlaid with bespoke embroidery which was designed separately by Rébé. In order to find the best quality embroidery, couturiers would seek out specialist workshops in Paris. Each season, embroidery artisans would create a range of samples which the designer could select from. Once selected, a design remained for the exclusive use of the couturier. Each pearl, pailette, gold thread and glass bead on this dress would have been individually and painstakingly sewn on by hand. This sumptuous surface detail would have taken meticulous patience to achieve and been exceedingly costly to produce. As only a handful of clients would have been able to afford a dress like this, they were made to order to fit the exact requirements of the wearer. In this section you can see many examples of the miniaturisation of product design; efforts to package a function into a smaller and smaller size. This large concrete stereo in front of you designed by the Israeli designer Ron Arad in the 1980s does exactly the opposite, however. It is deliberately heavy and bulky. It was made during a time when advances in microchip technology allowed home electronics to become smaller and more compact. So what was Ron Arad thinking? What makes this piece of design so clever is the idea that the miniaturisation of elements needed to make audio equipment, actually gives a designer liberty to experiment with bigger more expressive forms. In other words, the technology needed to produce sound no longer dictated the shape of a design. 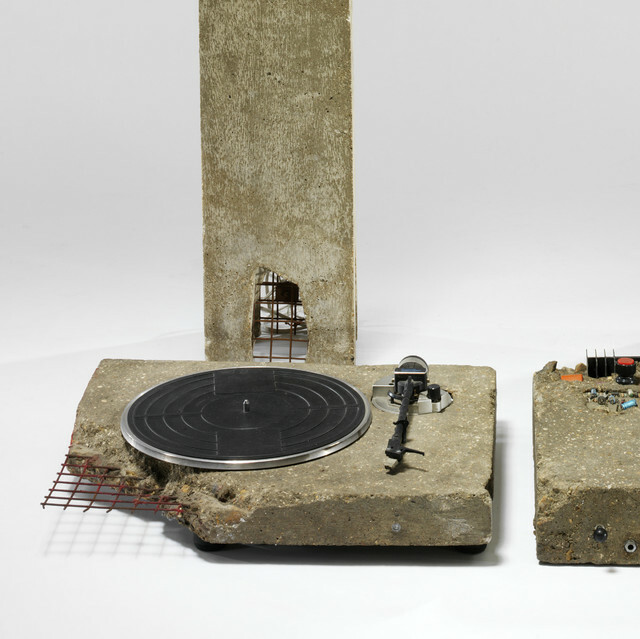 With Concrete Stereo Arad explores a post-industrial aesthetic that reflected the rustbelt cities and decaying factory towns of America and the UK at the time. The two concrete towers recall a piece of architecture, giving the object a sculptural presence in the household. The ceramic dish in front of you might, at first, look like any normal piece of crockery. But it presents a clever solution to a problem many people have struggled with in their kitchens and dining rooms: that of storage. Throughout the 20th century, as people were able to spend more money on homeware, they were also challenged by the limited size of their homes and apartments, especially in dense crowded cities. In response to this problem, designers often employed their skills to find clever storage solutions. 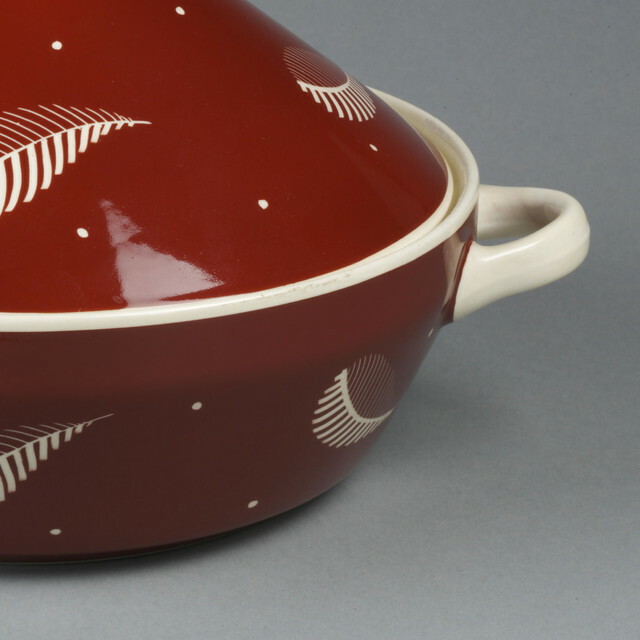 This uniquely-shaped tureen, designed by famed UK ceramicist Susie Cooper in 1945, solves that problem by performing multiple functions. It comes with a reversible lid, which includes a flattened top and stabilising handle, which allow it to be turned around and used as a second serving dish. Essentially you get two usable dishes in one. And when you are finished, you can turn the lid upside down and sit it inside the bottom half of the dish, so that it takes up less space in your cupboard. This stainless steel toaster is by Dualit, a household name in the UK for kitchen appliances. The toaster was designed by engineer Max Gort-Barten in 1946 in a small workshop in London and it is still in production today. It was specifically designed to be durable and long-lasting. It has visible screws, making it easy to disassemble and repair, and the heating elements are armour-plated to protect from damage. Cased in polished stainless steel, it also conveys the idea of durability through its very look and feel. Today, many companies employ the design strategy of ‘planned obsolescence’ purposefully producing objects with a shortened life span, so that consumers are encouraged to buy more. 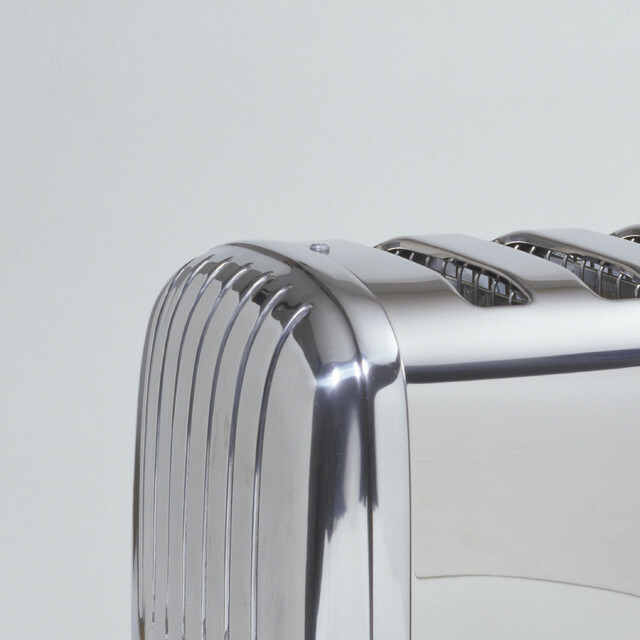 While planned obsolescence has helped drive profits for many large companies, there still exists a subset of design that thrive on the consumer’s desire for a long-lasting product, such as this Dualit Toaster. 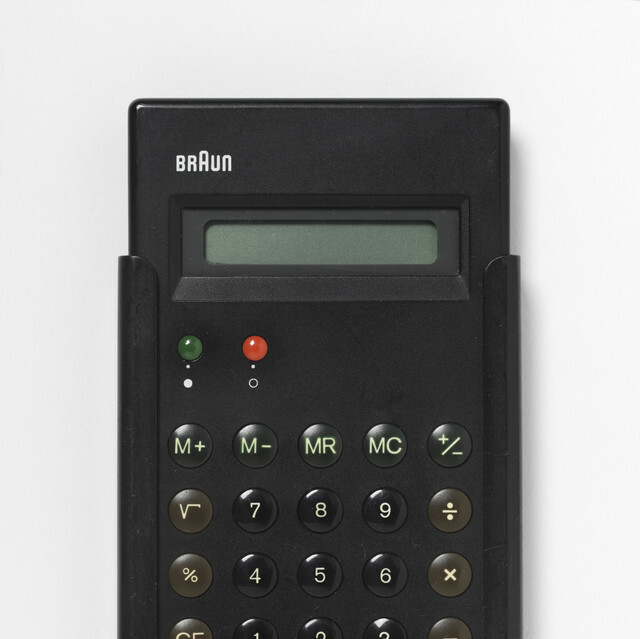 This simple calculator is considered one of the most successful designs produced by the Germany electronic appliances company Braun. It was designed by Dieter Rams who served as Chief Design Office at the company for decades, and his frequent collaborator Dietrich Lubs. Rams became famous for his minimal designs for Braun, and he used a design philosophy that can be succinctly summarized as ‘less but better’. The ET66 calculator was released in 1987 and encapsulates Ram’s style and tendency for restraint. The body is sleek and minimal, so that your attention is drawn to the most important part, the interface that you’re meant to interact with. To make fast calculations more efficient the buttons are cleverly colour-coded for ease of use, with the eye drawn to the yellow ‘equals’ button, the most frequently used function. The design was so influential that when Apple first introduced the iPhone in 2008, they included a calculator app that mimicked the ET66 design. This phone, designed in 2013, poses a simple question: How can you make a phone more fair? It’s a challenge that Dutch designer Bas van Abel has been wrestling with for the last few years. Many new technological devices rely on the use of rare-earth metals from remote parts of the planet. Often, those metals are extracted without regard for the environment or the labour that goes into getting them out of the earth. To make things worse, most phones and computers are designed to become obsolete in a few years, forcing you to constantly buy new devices, and continuing the cycle of environmental damage and labour abuse. 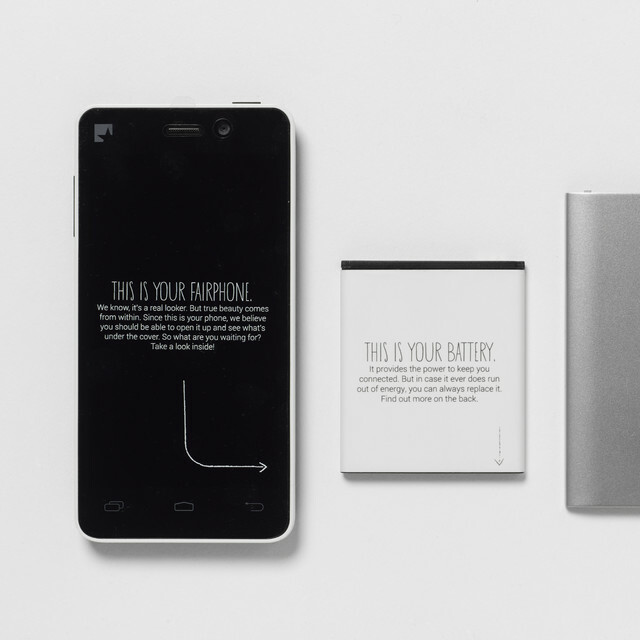 Fairphone addresses all of these issues in very simple ways. The rare-earth metals are gathered from conflict-free areas, phones are designed so that users can repair them, and workers are treated ethically and paid a living wage. With Fairphone, Bas van Abel has set a model for others to follow in how to create ethical technological devices for a sustainable future. If you look very carefully at this chandelier, you will see that it is composed of dozens of seed heads from dandelion plants. With one gust of wind, the seeds of a dandelion will disperse effortlessly, making this chandelier seem impossibly fragile. Called the ‘Fragile Future Chandelier’, it is design by the Dutch design studio, Studio Drift, who have embedded each seed head with a tiny glowing LED light. The chandelier presents a frozen snapshot of nature, and suggests that at any moment the delicate lights could vanish into thin air. This framework is then attached to an MDF box imitating concrete. 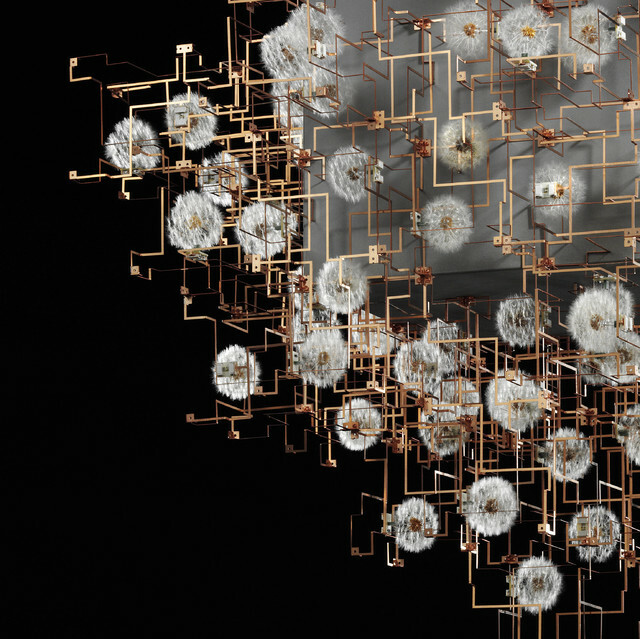 It is a remarkable and contradictory assemblage of materials seemingly impossible yet accomplishing a poetic beauty through its creative use of materials and technique. This Juicy Salif lemon squeezer designed by Phillipe Starck is considered an icon of industrial design due to its atypical form. The shape of the squeezer was said to have been inspired over a lunch of squid garnished with lemons on the Isle of Capri. The three tripod legs hold the squeezer upright whilst the user simply pushes the lemon onto its head. The juice then flows down the striated lines of the head (which tapers to a point) and drips into a dish placed below. The design however sacrifices function for style, and many have complained about its lack of efficiency. 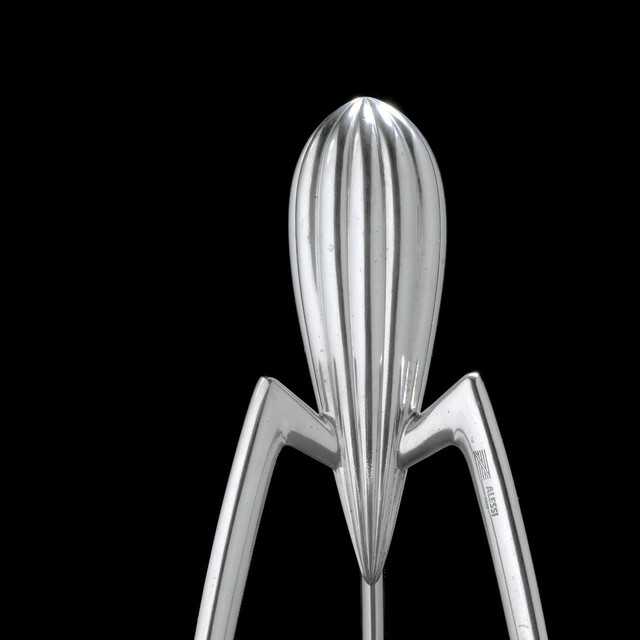 Juicy Salif was was one of Phillipe Starck’s first designs for the Italian firm Alessi. It became a bestselling item for Alessi and is one of Starck's most influential designs despite its design flaws, and is collected as much for its sculptural value as it is for its practical use as a squeezer. According to Starck “it's not meant to squeeze lemons, it is meant to start conversations”. When Stella McCartney collaborated with the high street chain H&M to design a fashion line in 2005, the collection was immediately popular. The high profile launch party and the extensive media coverage sent shoppers into a frenzy, so that when the line was launched in selected H&M stores there were queues along the street and the stock sold out almost instantly. 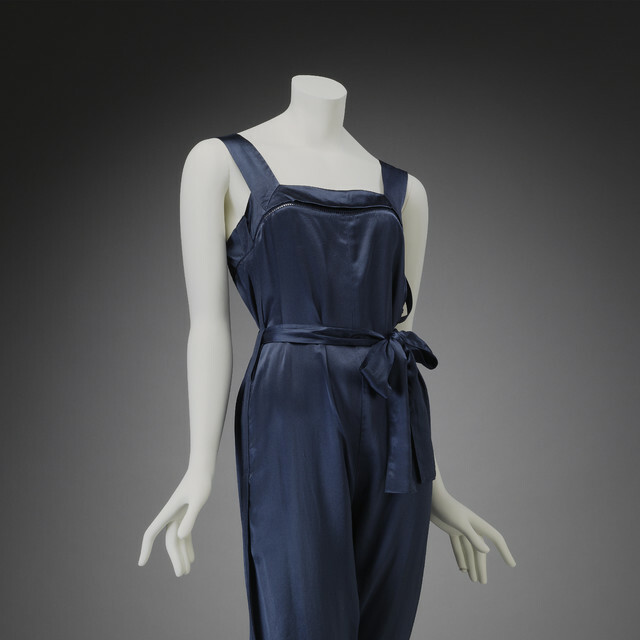 This jumpsuit is from the collection of 40 items that were produced and sold by H&M under Stella McCartney’s label. The jumpsuit is a garment that often appears in the designer’s work. The light silk, loose fit and soft tie belt are all indicative of McCartney’s relaxed signature style and would be instantly recognizable to the fashion savvy eye. Collaborations like this between major clothing retailers and high-end designers enabled a wider range of people to own up-to-date, high quality fashion at an affordable price. However, within several hours of release numerous pieces appeared for sale on eBay by customers who had bought in bulk. Realising that the demand for pieces would be high the items went for sale online at a much higher price than they had been in the store. This rocking chair was designed and made in Delhi by Sahil & Sarthak Design Co. The design of the chair comprises a metal frame with wooden detailing on the arms and for the rocking mechanism. 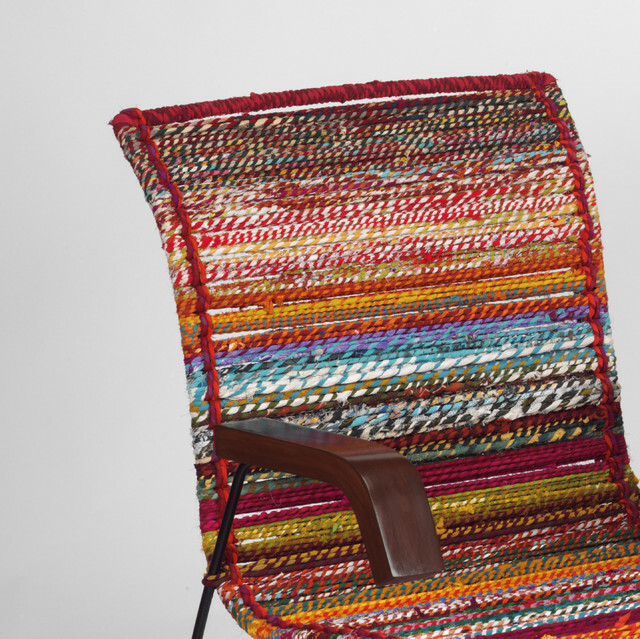 However what makes the chair unique is the coloured rope, made from recycled waste cloth that has been collected from factories and workshops producing garments for export. The cloth is sorted and hand-woven into balls of fabric rope in the villages of Barmer in Rajasthan. Sahil & Sarthak Design Co. have developed a range of katran furniture in which they utilise this rope by wrapping it around a variety of metal frameworks. The design studio was founded in 2009 by two young designers Sahil Bagga & Sarthak Sengupta, who share the strong belief that Ethic, Ethnic and Ecology can be interwoven with our contemporary lifestyles. 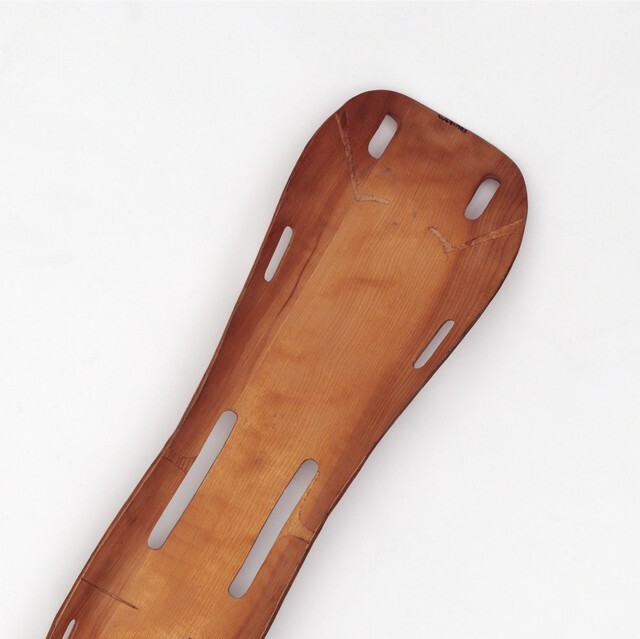 This modest plywood leg splint, designed in 1943, helped changed the way we design furniture. The American designers Charles and Ray Eames began their investigations into the possibilities of plywood moulding during the Second World War, through a commission from the United States Navy to develop lightweight and stackable leg splints and stretchers for injured sailors. The splint is made by gluing together thin layers of wood, each layer oriented 90 degrees to its adjacent layer, and pressed into a mould. The design was a massive success and thousands of these splints were produced. After perfecting this technique with the splints, the Eames and many others started using the technique to produce various chair designs. 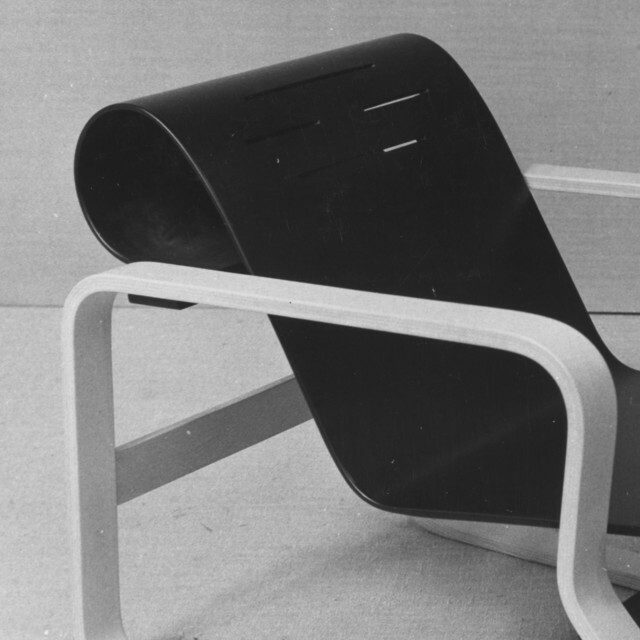 The material and the technique helped them and other designers create fluid sculptural forms that would go on to define the predominant aesthetic style of modern furniture in the 1950s and 60s. 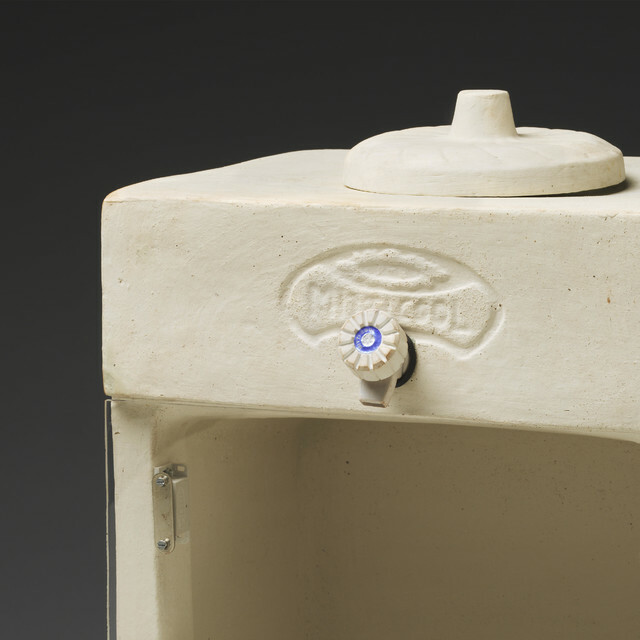 This modest white clay fridge addresses one of the most urgent problems today: the fact that 1.3 billion people still live without access to electricity. Its designer, Indian entrepreneur Mansukhbhai Prajapati, was hugely concerned with the problem of food spoilage in rural Indian communities, where people could neither afford an electric refrigerator, nor acquire access to a usable power source. The MittiCool fridge solves this problem by using an age-old technique called ‘evaporative cooling’, which requires no electricity to run. The body of the fridge is made of unglazed terracotta. The top of the fridge is filled with water, and then the contents are cooled via the evaporation of the water through the porous clay. Vegetables can be kept in the fridge fresh for up to a week and the fridge can also be used to store dairy products. What makes Mansukhbhai Prajapapti’s work so significant is that it shows how sometimes the best solution to a complex problem, can be found in low-tech traditions from the past. This bright red typewriter, designed by leading Italian designer Ettore Sottsass and Perry King in 1969, helped revolutionize the way household machines are designed. Until the 1960s, typewriters were designed primarily for functionality, resulting in simple looking products that had very little aesthetic styling. 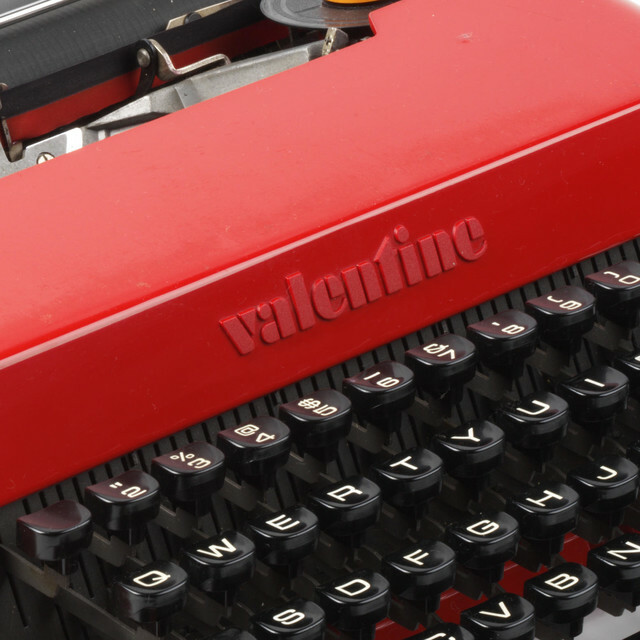 With the Valentine typewriter, Ettore Sottsass sought to go beyond simple machine aesthetics and make a typewriter that would create an emotional connection with its user. He wrapped it in red plastic with smooth rounded edges, to show how design can transform relatively mundane things into objects of desire. The Valentine would go on to influence the design of other machine-like products such as computers. Most notably, we can see designer Johnny Ive in the 1990s employ a similar strategy in his design for the Apple iMac, which you can see here sitting next to the typewriter. The iMac broke from the conventions of personal computer design at the time by introducing a fluid shape and translucent colours into the body of the computer itself. The design helped reignite enthusiasm for the Apple brand, and paved the way for many of their iconic designs at the turn of the millennium. This little computer is called One Laptop Per Child. It is a project that seeks ways to produce and distribute affordable laptops to schools around the world. The original initiative was started by MIT Professor Nicholas Negroponte in 2002, out of the belief that computer literacy would become a basic skill that every child should be able know in order to thrive in the 21st century. This XO-1 was the initiative’s first product, a simple durable laptop which requires little electricity, designed by Yves Behar in San Francisco. The casing has two green 'ears' that act as Wi-Fi antennae, appealing to children, and a rechargeable battery provides up to 22.8 Watt-hours. The screen pivots around so that the laptop can be used as an eBook reader, while the keyboard is a single rubberised sheet to prevent dust and water entering, with smaller keys than a normal keyboard, again designed for children. Despite its efforts, and these clever design solutions, OLPC has struggled to stay competitive in recent years. In particular, the introduction of tablet computing by major tech companies has dramatically lowered the cost of access to computing. This highlights the difficulty for non-profit organizations like OLPC to stay afloat in the highly competitive world of technology. explore how architecture and its furnishings could contribute to the patient’s healing process. thought to be more conducive to the healing process. Look at the two chairs in front of you. You probably recognize the white plastic chair – it’s the most mass produced chair in the world. The other chair looks surprisingly similar, although instead of plastic it is carved from elm wood. This chair was designed by the Dutch designer Maarten Baas in 2008 and was made to be an exact replica of the Monobloc. Baas first had the idea for the chair whilst participating in Contrast Gallery’s residency program which brought Western artists to China to study local artistic and cultural practices. While the Monobloc chair is made from the instantaneous process of plastic injection molding and can be produced in mass quantities, Baas’ chair is hand-made made by craftsmen who specialize in a type of Chinese joinery of slotting wood together with glue. Each piece of Baas’ chair has had to be painstakingly carved to the exact dimensions of the Monobloc and then fitted together and varnished to give the appearance of a singular piece. By reproducing a basic plastic chair in luxurious hand-carved elm, Baas’ design challenges us to consider the aesthetic design of the Monobloc when the material and production process are removed from the intrinsic necessity of its production. Here you can see two dramatically different examples of a map of the London Underground Railway network. The first is from the early 1930s, and the second is from 1933 shortly after a dramatic redesign. 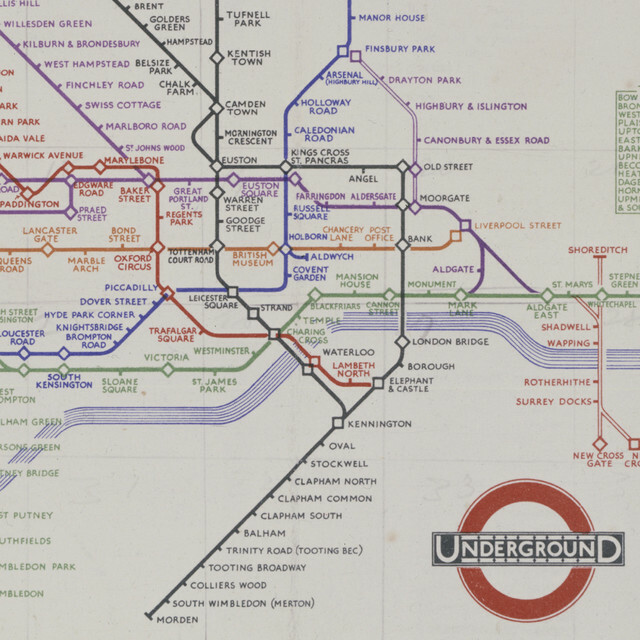 Early maps of the London Underground Railway network were geographically accurate but confusing to read because of the system’s twisting routes. This made it frustrating and difficult to use for many commuters and tourists. In 1931, Harry Beck, a technical draftsman working for the underground at the time, proposed a radically new way of visualizing the system. He brought clarity to the complex network by purposefully ignoring geographic correctness in favour of legible geometric lines and labelling.  The lines of the different routes are visualised as moving up and down, left and right, or on 45 degree angles, resembling what a typical circuit board might look like. The redesign was so successful that it has remained largely unchanged to this day, and underground maps around the world now employ the same strategy. 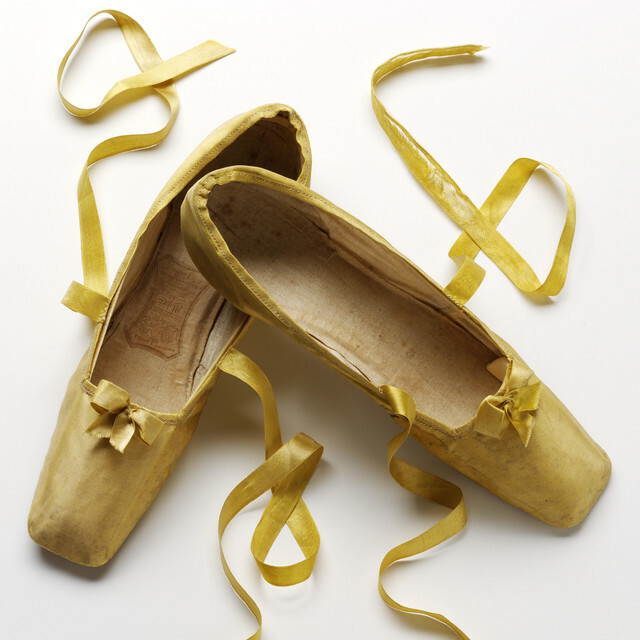 From the 1790s, simple flat slippers or ‘sandal shoes’ became popular footwear for ladies of fashion. The simplicity of the shoe meant that it could be produced cheaply and in multiple colours. Women would own several pairs to suit different outfits. This simple, unisex standardised uniform worn by every secondary school student in the city is a very familiar and easily recognisable object within Shenzhen. Many students continue to wear it after graduation and it allows them to recognise other former Shenzhen students when living in cities elsewhere in China and abroad. 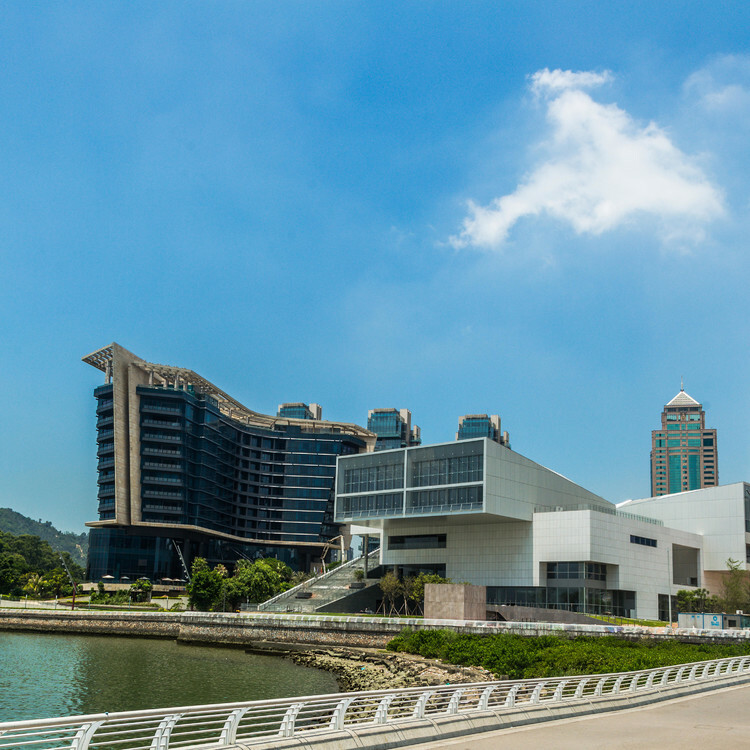 Because of the ubiquity of this very simple design and its uniqueness to Shenzhen, it has become a symbol of the city and its youth. So much so, that in recent years, the Shenzhen school uniform has also entered popular cultural consciousness: manga stories have featured it and themed events, like the Shenzhen School Uniform Day, celebrate its significance. This oversized black ensemble was designed by Rei Kawakubo for Comme des Garcons. Although Kawakubo never trained as a fashion designer her work has had a huge influence on the fashion industry and contributed to opening up new avenues for Western dress in the 1970s and 80s. Notice the jumper’s randomly placed holes and asymmetric hem, and the bulky padded skirt, it’s made from a double layer of thick jersey fabric and gathered into a narrow waistband so as to create more volume. 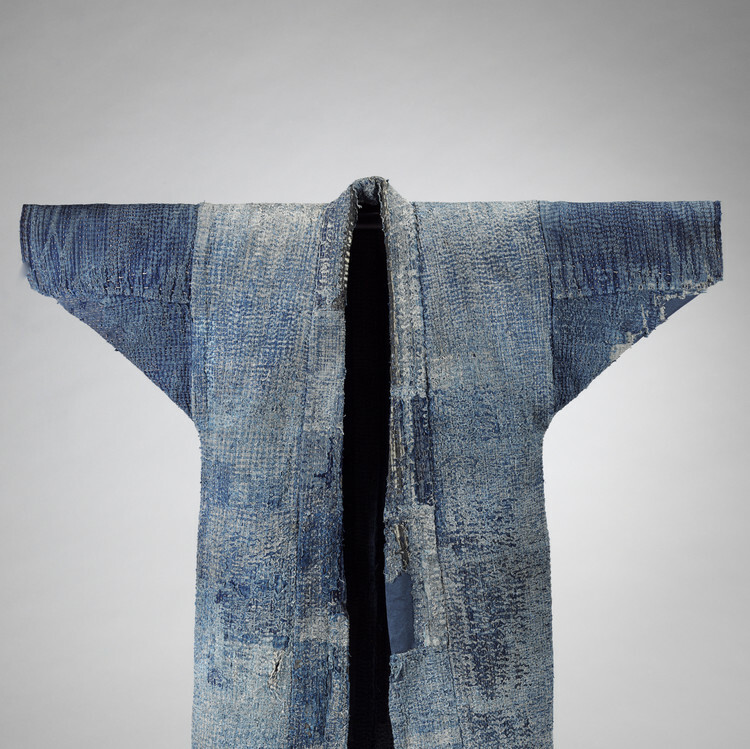 Kawakubo uses unlikely textiles and distressed garment surfaces. This ensemble is designed to engulf the figure, challenging and redefining conventions of an ideal silhouette. 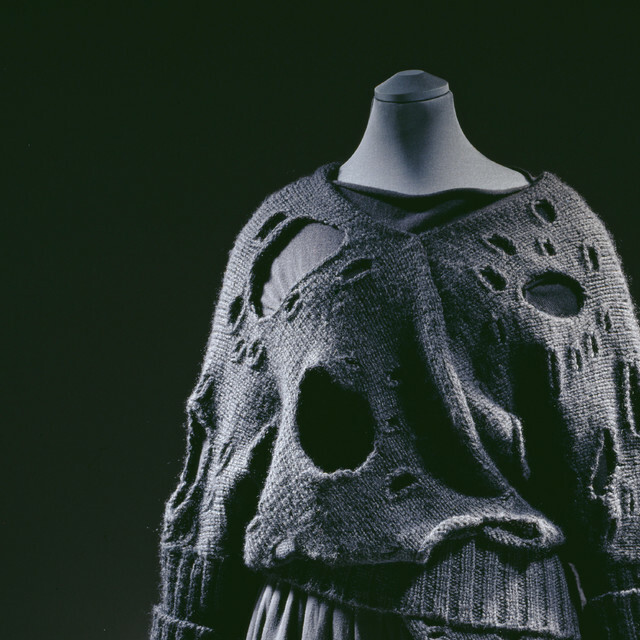 The design is not concerned with making the wearer look pretty or conventionally attractive, instead this unfinished distressed aesthetic offered women a new way to dress. Comme des Garcons is widely considered an icon of modern fashion and has inspired many other designers to question traditional dress making practices and beauty standards. This tactile paving block might not look very special, but it is one of the most globally pervasive design interventions today. Your feet have probably walked on this design in cities around the world, without noticing. It was Invented in Japan in 1965, by Seiichi Miyake as a system to aid navigation for blind people on busy thoroughfares. There are two variations to the block which give different cues: the first, which you see here, consists of raised truncated domes which alert the walker to a dangerous threshold; the second is made of raised lines, which indicated a path along which to walk. 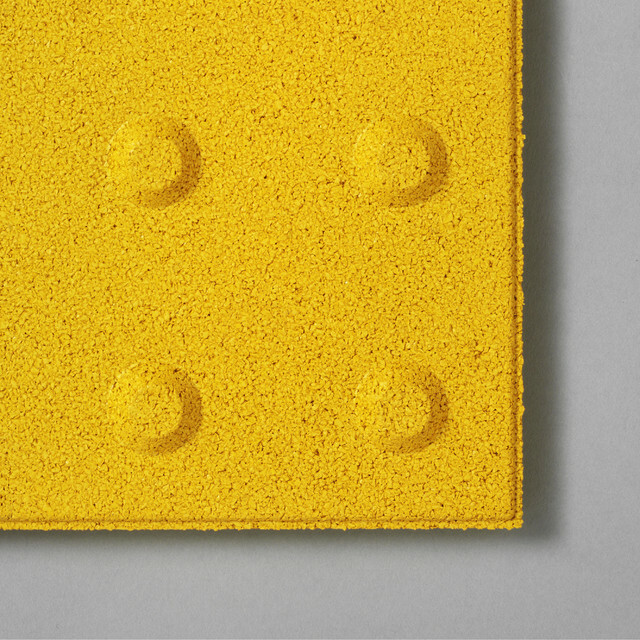 230 of these tiles were first installed in Japan in 1967 along a highway near the Okayama School for the Blind. Gradually this system was implemented at railway stations, and then along city streets throughout the country before it was eventually adopted by countries around the world. You are looking now at one of the first mass produced chairs in the world. 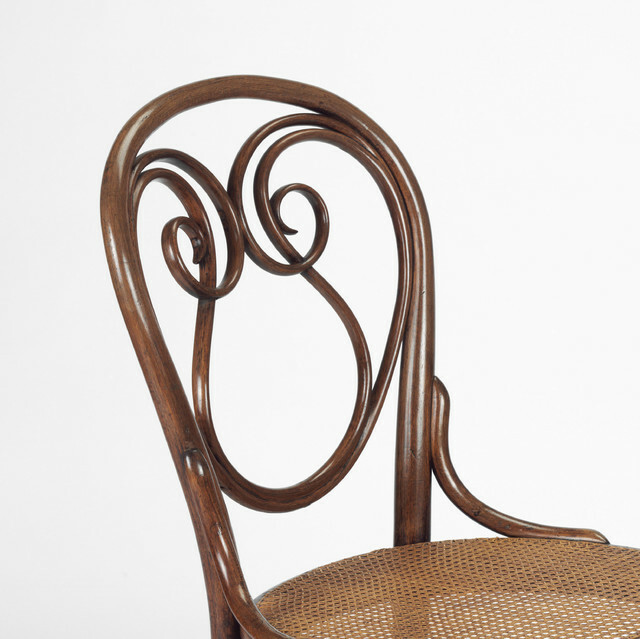 It was designed by the Austrian company Gebrüder Thonet in 1859. The company became famous in the 19th century for developing a technique of bending steamed wood and letting it harden into a curved shape. 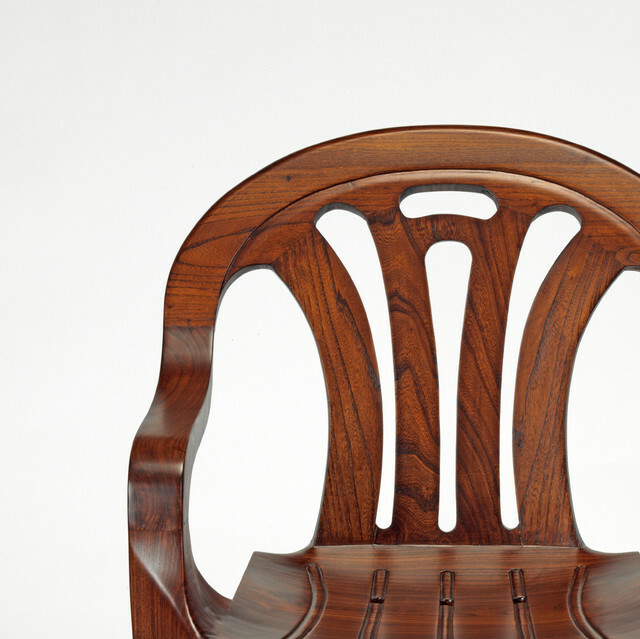 Michael Thonet popularised the technique with a line of chairs that pioneered an aesthetic of simple curvilinear forms. More importantly, their popularity was aided by Thonet’s innovations in manufacturing allowing for low-cost mass-production, and easy distribution. The style was picked up by competing manufacturers and became generically referred to as bentwood. One of the most interesting aspects to Thonet chairs is their enduring charm. Styles tend to come and go, but the Thonet has remained a stylistic fixture throughout the ages. The Swiss architect, Le Corbusier, used them in his modernist designed homes in the early 20th century, and Thonet chairs are still manufactured and in high demand today. In 1968 the acclaimed Pop artist, Eduardo Paolozzi was appointed to the ceramics department at the Royal College of Art in London. Shortly afterwards he was invited to make a set of plates by the firm of Wedgwood. Paolozzi’s geometric designs were made in the lithographic studios at the College and transferred onto the plates at the Wedgwood factory. 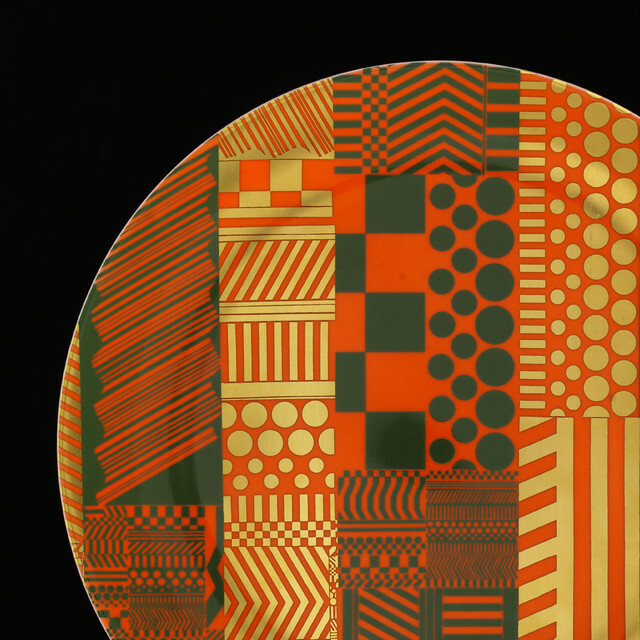 Paolozzi designed the pattern in vertical bands that were screen-printed directly onto the bone china plates. Each patterned band is layered on top of one another to create the complex overall design and the different colour variations. This was the first design project Paolozzi worked on with Wedgwood. Only a limited edition of 200 sets of plates were ever produced, they were sold in a set of six and presented in a pink perspex box with individual pink felt slip covers and a certificate signed by the artist. Since Paolozzi, many other celebrated artists and designers, like the fashion icon Vera Wang, and the seminal British designer Jasper Conran have also collaborated with Wedgewood to imbue everyday objects with a heightened sense of artistry. The poster you are standing in front uses the powerful words Work Buy Consume Die emblazoned in bold red letters to suggest a protest and critique against consumerism. It was designed by a UK graphic design studio called Designer’s Republic, in 1994, who sought to make work that highlighted their disenchantment with corporate-driven consumerism, while acknowledging their complicit role as a brand agency in helping to influence people to buy things through sleek design. 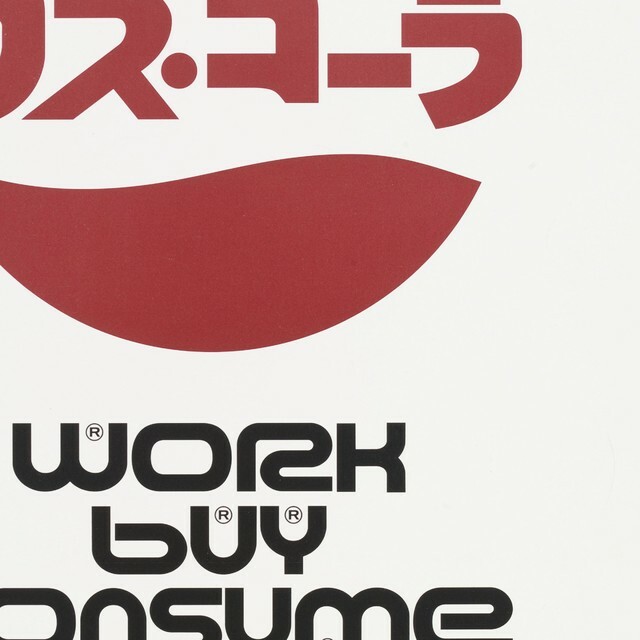 ‘Work Buy Consume Die’ is the imaginary slogan of the Pho Ku company, which the studio invented to satirise the aesthetics of global corporate branding. The design is inspired by Japanese graphic design and also subverts the Pepsi Cola logo as a comment on the force of global branding. 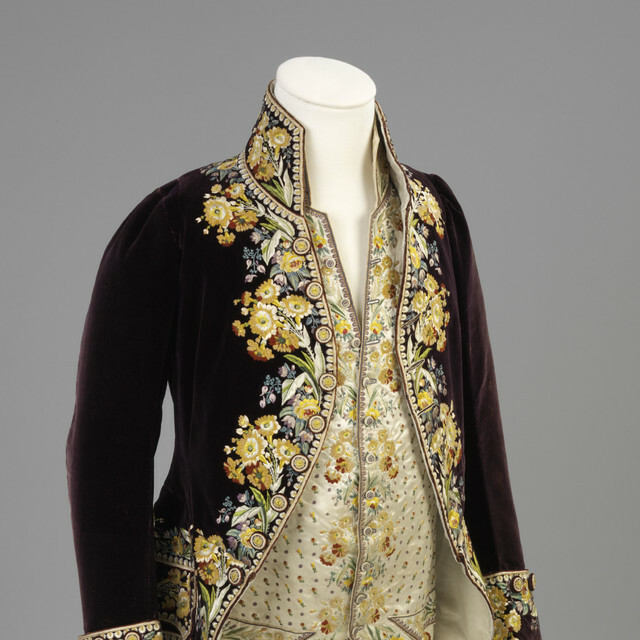 Court dress was a distinctive style of clothing worn in Europe from the 1600s to 1800s by people eligible to be received at court during formal occasions. Wearing this attire distinguished a person from the general public and denoted their membership of an elite society. Iran, 18th century丨Astrolabes are advanced astronomical devices which were widely used in the Middle East from the ninth century onwards. 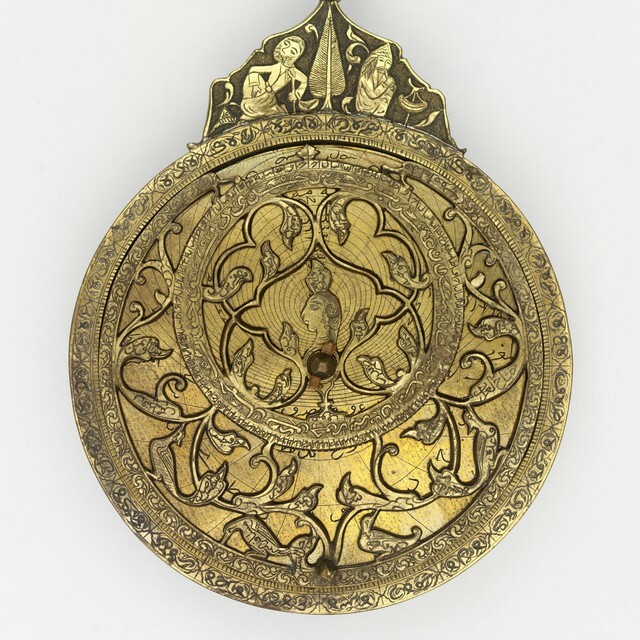 Consisting of several circular plates inscribed with various celestial and geographical data, the tool could be used to perform a diversity of tasks such as navigation, telling the time, and mapping stars. 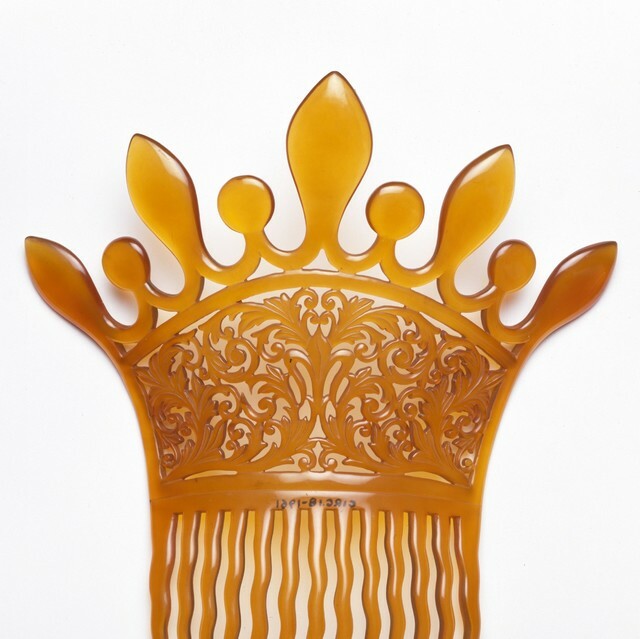 In the 1800s, tortoiseshell was widely used to make small items such as combs and spectacle frames. In 1862, Alexander Parkes developed ‘Parkesine’, the first manmade plastic, used to imitate tortoiseshell at lower costs. A great wave of plastic manufacturing ensued, allowing bans on tortoiseshell to be installed protecting the species from extinction. 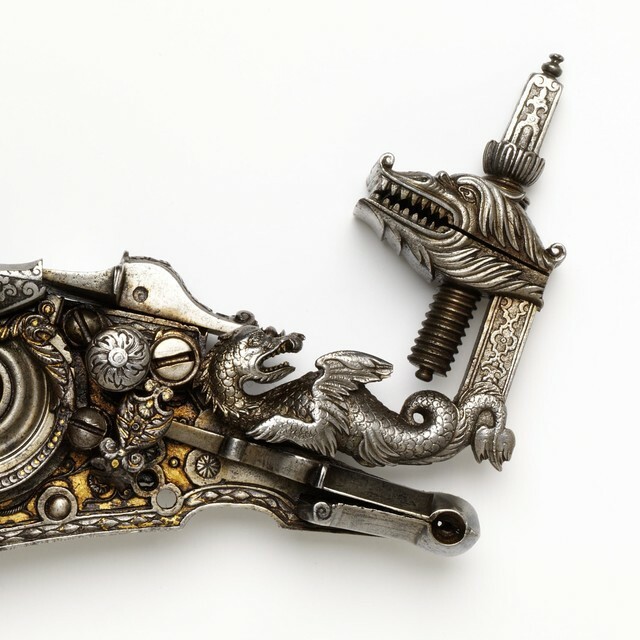 Early firearms were often unpredictable and dangerous to use. The wheel-lock was a major innovation, introducing a spring-loaded arm, called the ‘dog’. It had a safe position, where the rifle could not fire, and an operating position. The ‘dog’ often included teeth that acted as a vice to hold iron pyrite which created the spark to fire the gun. Like the typewriters that preceded them, computers were traditionally designed with functionality in mind. Apple distinguished itself by focusing instead on the appearance of their computers. 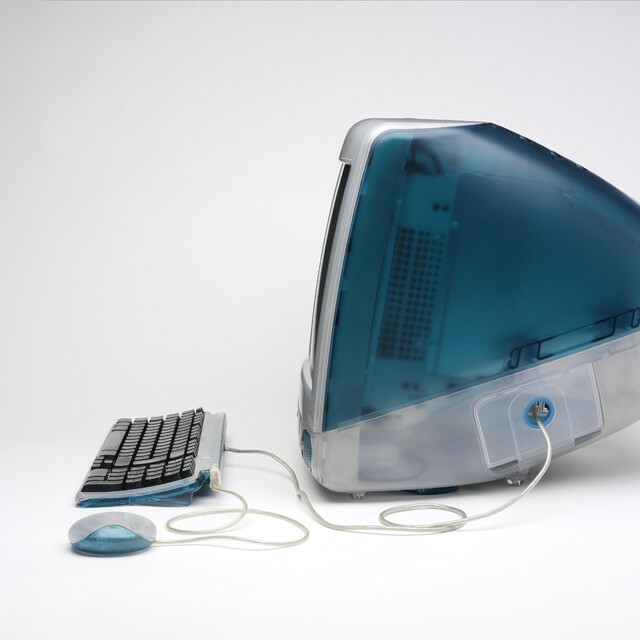 By housing this iMac G3 in translucent tinted polycarbonate, it created an unprecedented new look that would go on to influence many domestic objects and electronic gadgets. As trade between Asia and Europe expanded, Europeans took great interest in Asian lacquer. Demand for lacquered items grew rapidly. 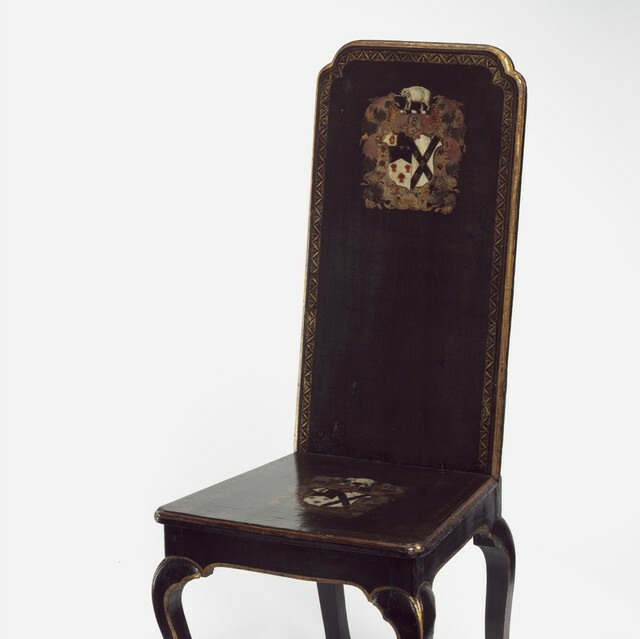 The two boards of this hall chair were lacquered in China and shipped as two flat pieces to be assembled in Britain. This is an early form of the flat-packing method used by many manufacturers today.